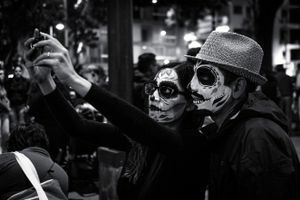 Created by Mexican artist José Guadalupe Posadas, and popularised in the late 18th century, "La Catrina" is the very personification of death. 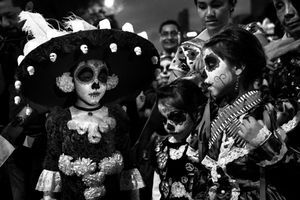 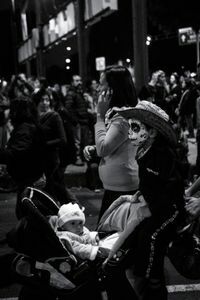 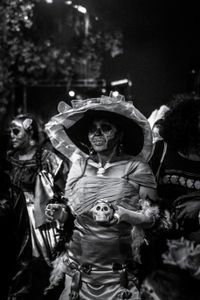 Since those days, "La Catrina" has become a symbol closely associated with "The Day of the Dead" celebration. 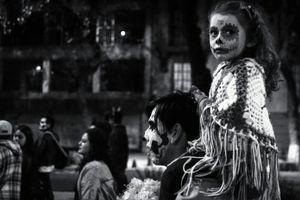 A day where we build shrines, light up candles and share a meal with our deceased loved ones. 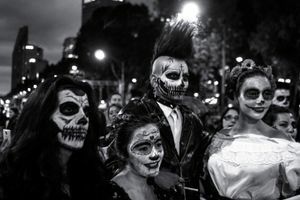 It is however, not a day of mourning or sorrow, neither is it terrifying, it is simply a celebration of our own mortality. 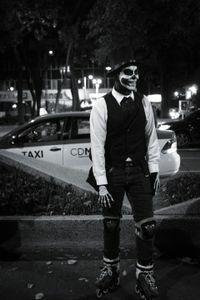 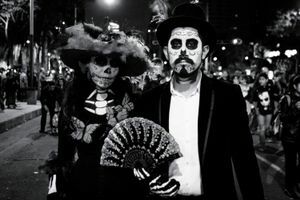 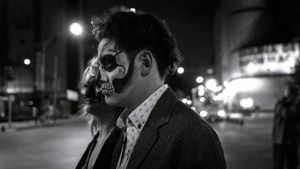 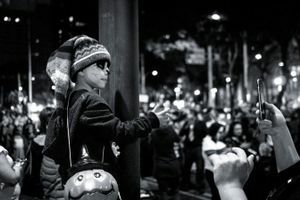 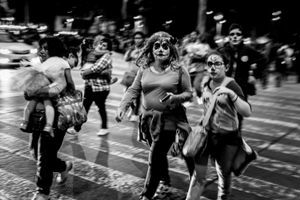 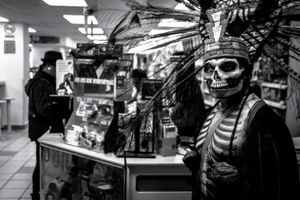 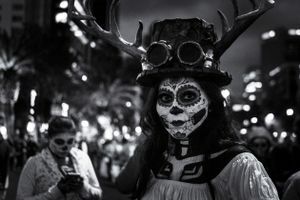 This year, like every year, people dressed up, applied some makeup and paraded around Mexico City to pay homage to this emblematic figure.